Stage 4 of the Trials of Mayham: Last Man Standing, Macen VS Gryffon! Then witness an elimination tag match between Team Corbin and Team Inkredible! 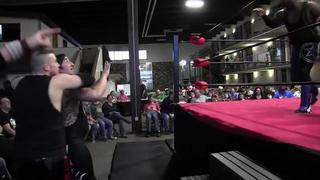 Fully Loaded TV Episode 28 Featuring: Tommy G vs. DIacide Fans Bring the Weapons Match Christian Rose vs. Wolf Danger.